For almost three generations evangelical Christians have answered these questions with an unequivocal “YES”! In this challenging new book by David Chilton, all the prophetic passages of Scripture dealing with the End Times are re-examined with careful attention to every revealing detail. And his conclusions are nearly as startling as the prophesies themselves. 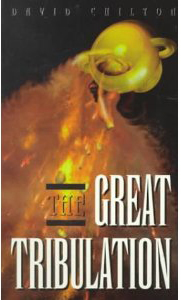 The Great Tribulation is the kind of sane, balanced, and easy to understand introduction to End Times theology that Christians have needed from a long, long time.